Waterproofing Systems — Coatings Application & Waterproofing Co.
CAW's full service waterproofing includes concrete restoration, elastomeric coating, caulking and sealants, mask grouting, gunite and shotcrete, tuckpoint, texture coatings, transparent waterproofing, pressure cleaning, pedestrian decks, traffic decks and other types of waterproofing. Moisture related issues can cause headaches for property owners and building managers. The moisture detracts from a property's overall appearance and can affect its structural integrity, causing potentially serious safety threats to tenants and pedestrians. Our structural and high rise restorations services are designed to eliminate those worries for our customers. Cracks that let moisture seep into your building can do untold damage, many times before you can realize what happened. 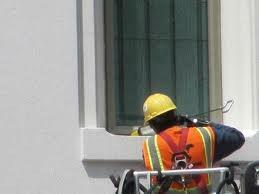 Our quality caulking services, using the latest products and technology can stop or prevent this. The kind of damage we are talking about can take a tremendous toll on your buildings. Our cost effective caulking and sealant can help preserve your building structure. The correct removal and replacement to deteriorated mortar in brick and stonework is truly an art. It is important for the the job to be done properly and with the correct materials. Our work is truly evidence of the skill of our craftsmen.